Give your home a contemporary makeover with the Andromeda mosaic tile. This stunning mosaic is made from natural travertine stone and will add warm earth tones into any area in which it is featured. 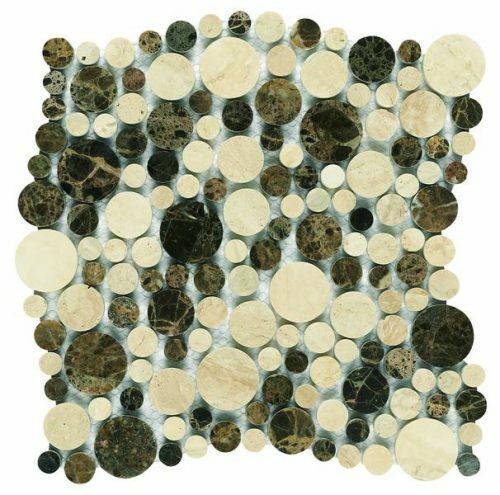 This mosaic features multiple circular stone dissections in different tones of beige, white and brown. It will do very well to add a modern touch to any space it is installed in. It is available in a standard size of 28x28cm and is sold per piece. 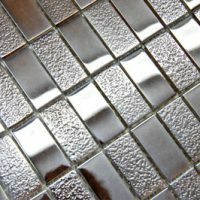 The Andromeda mosaic tile is incredibly practical. In addition to its stunning looks, it has been specially designed to allow easy installation. The travertine surface can be vulnerable to scratching and required special care. For this reason, it is best suited as a wall tile. 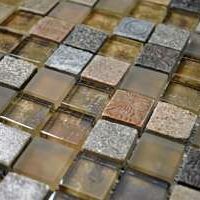 The Andromeda mosaic tile exhibits all the characteristics of a top quality mosaic, but it is surprisingly reasonably priced. It has been manufactured to the highest standards and offers fantastic value for money. For a contemporary mosaic tile in Perth, choose the Andromeda mosaic tile. 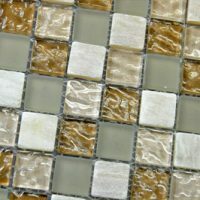 Buy this stunning tile at the best price from our online store today to start with your makeover tomorrow!